Shorai LFX batteries come in a variety of case shapes and sizes, capacity options, and right/left polarity options, for the best possible fitment. 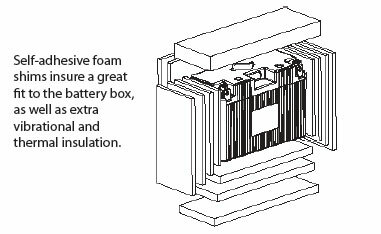 If the LFX is slightly smaller than the original battery in one dimension or another, high-density, adhesive-backed foam sheets are included in the package. These can be trimmed and applied to the battery box in minutes, to make a solid fit, and with added thermal and vibration insulation. Cable connections can be made either at tops or sides of the terminals. All these options and sizes allow Shorai LFX to offer a “drop-in” installation for most powersports vehicles. We also offer a 6-volt LFX in the #2 case size, for vintage vehicles. When you open a LFX battery package you will also find terminal screws and a set of spares, Shorai decals in various sizes, and the user manual. 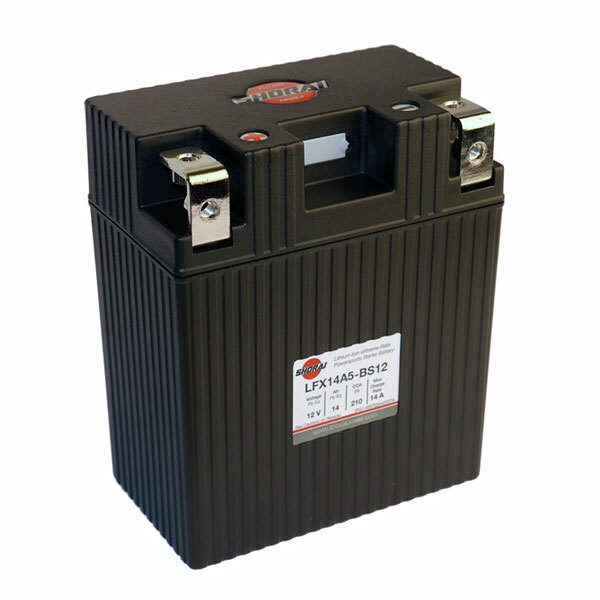 Shorai Batteries require a charging system output of 13.1 Volts or higher at idle, and must not exceed 15.2 volts at maximum output.